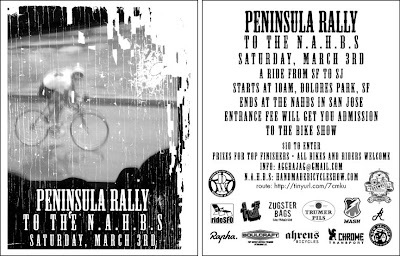 Ahrens Bicycles Blog: Peninsula Rally to NAHBS! Ahrens Bicycles is a proud sponsor of the 2007 Peninsula Rally from SF to SJ on March 3rd. Check out the route here.